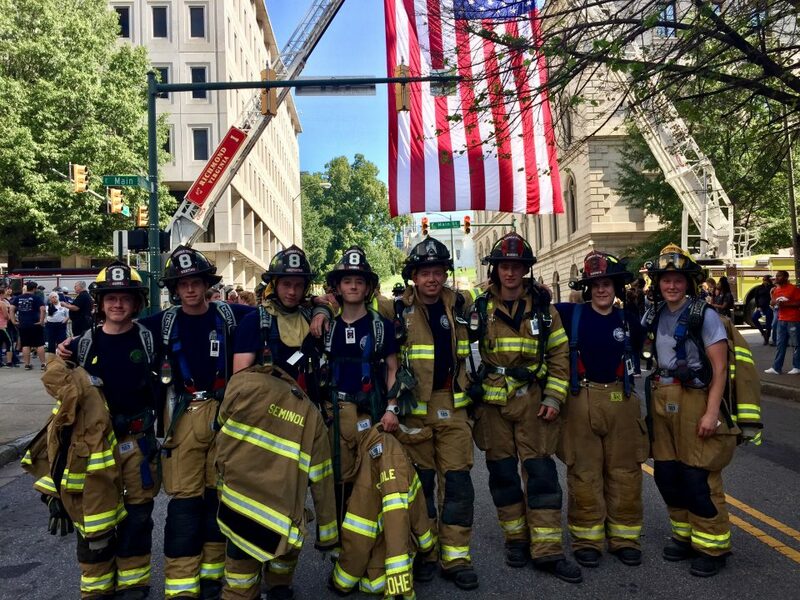 Eight members traveled to Richmond, Virginia to honor the firefighters, police officers, and EMS providers who made the ultimate sacrifice sixteen years ago on September 11. 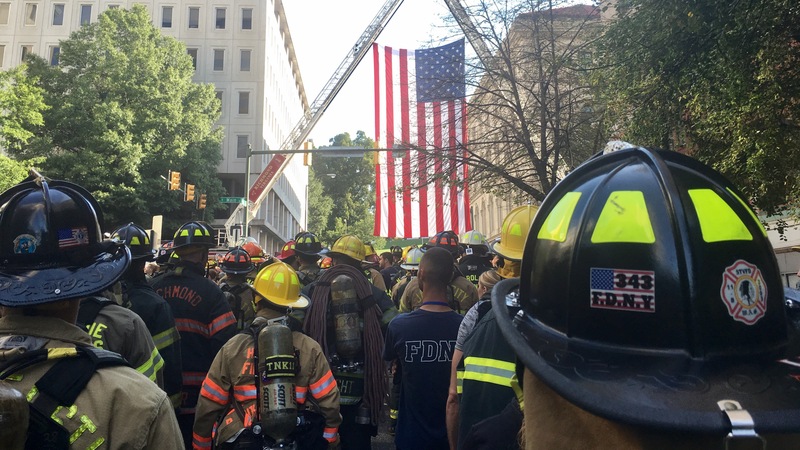 The Richmond Memorial Stair Climb consists of a grueling climb of 110 floors, the height of the World Trade Center. The event is limited to 343 participants marking the number of firefighters who perished during that fateful day. Each climber is given a card with the name, picture, and assignment of one of the fallen firefighters. At the end of the climb, each participant rings a bell three times and reads the name off of their card in remembrance of the fallen. The event was completed by all STVFD members in full PPE with SCBA simulating the conditions that FDNY faced as they entered the World Trade Center. STVFD climbed together supporting one another as the unwavering heat and fatigue set in floor by floor. The climb proved to be extremely difficult testing the firefighters of multiple agencies who participated. No other event put into perspective the unimaginable hardships faced by first responders during 9/11 and their remarkable actions to overcome and persevere. The proceeds of the Stair Climb are used to help support the survivors of fire service members. More information can be found at the National Fallen Firefighter Foundation website.